The state BJP came down heavily on the Imam for defying the Union cabinet's order. Kolkata: Defying the Centre's ban on use of red beacons, the Shahi Imam of Tipu Sultan Masjid, Maulana Noor-ur Rehman Barkati on Thursday said he is not bound by the order and as a religious leader, using it was his "right." "I am religious leader and I have been using the red beacon for past several decades. I don't follow the orders of the Centre. Who are they to order me? In Bengal, only the orders of the state government are effective. I will use red beacon. 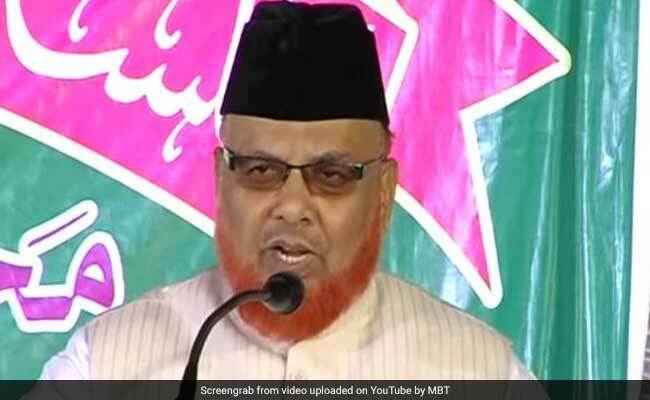 In Bengal, no one has removed red beacon," Maulana Noor-ur Rehman Barkati told PTI. Seeking to end the VIP culture, the Union cabinet had decided that red beacons would be removed from all vehicles, including that of the prime minister, from May 1. "From where does he get the audacity to defy the decision of the Union government? The state government should immediately take action against him. Only being from the minority community does not give him the right to do whatever he wants to," said state BJP secretary Locket Chatterjee. The Kolkata police denied to comment on the matter of Barkati using the red beacon and said it was "not aware" of it.